In this unique healing system of Thai Yoga Massage based on yoga, ayurveda, and the martial arts, the massage therapist guides the client through a series of yoga postures while palming and thumbing along the body's energy lines and pressure points. Together these actions result in a treatment that relieves muscular tension, improves circulation, boosts the immune system and balances the body energetically. 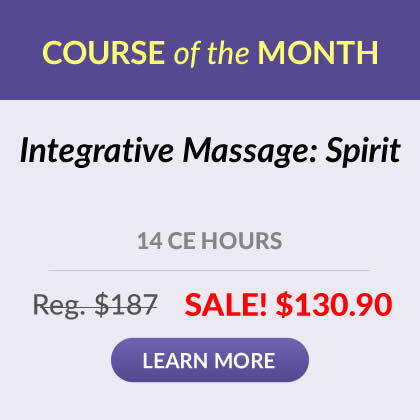 The course text leads readers through every aspect of this ancient bodywork therapy using more than 125 detailed, step-by-step photographs. Techniques for performing a one-hour massage are also demonstrated in the accompanying DVD. Concepts presented include the history, benefits and key elements of the practice, such as anatomy and physiology and contraindications from the Thai viewpoint and tips for integrating Thai concepts with Western health theory. I absolutely loved this course, and use the techniques extensively in my practice. I would recommend this course to anyone who may not have a chance to take the in-school module as the dvd is detailed and the book is great reference material. Thank you! I really enjoyed learning the material in this book and the DVD for better visual comprehension. I really like the Ayurvedic concepts in the material. I would definitely recommend it to anyone interested in learning Thai Massage... Thank you for offering this great home course!!! 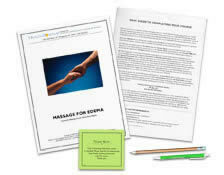 The Eastern approach in massage is always a good reminder for those that practice the Western approach in massage. In the moment, intention, breathing, letting go and loving kindness brings one to such a beautiful place when working with client. The application of Thai Yoga massage is a great addition. The book provided was very informational. The video was easy to follow. The test was easy to read and perform. I appreciated being able to have my answers on a printed test and then take the test. Over all this has been a very positive experience. I was looking for something I could actually use to enhance my current practice. I will start practicing on my family and friends and then offer it to my clients. I really enjoyed the book! The illustrations really helped me understand how to do it. I absolutely loved this course. 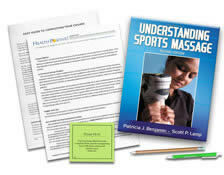 It held my interest and feels like something that I could easily incorporate into my massage therapy practice. I have been taking courses from you for many years and continue to learn new ways to enhance the experience of my clients. The Thai Yoga Massage course was full of great techniques that were clearly explained in the book and had excellent photos. This is a course to enjoy and practice well beyond taking the test. At first implicating some moves into regular routine then expanding. Practicing on people and getting a floor mat. Really energized me. The DVD was very valuable to translate what I was reading into seeing it in practice. I was able to practice on a person while watching the DVD and felt I learned more than just reading the text. Thank you! Printing out the test ahead of time allowed me to focus on the important answers, was able later to take test online without going back to it. Helped me retain the concepts better, thinking thru it as I took the online test. Loved this course! Great materials, excellent topic. Good pick!Your Website is a wonderful service to busy Ontario massage therapists! I personally loved this Institute for the simple fact that I am a busy mom and full time worker and this was just so easy to do in my spare time so i GREATLY appreciate that!! I enjoyed the blend of energetic principles with practical physical applications and attention to a practitioners body mechanics that this course had to offer. The course book is descriptive and well presented. Great materials, clear and easy to understand and put into practice. I very much enjoy each lesson and use elements of each course in my practice. So glad I gained the knowledge of this beginner's Thai Yoga Massage course. It was straight to the point, the textbook matched with the video and it was easy to follow along with. Learning TYM will now be substituted into both my massage and yoga practices. This was my favorite CE course so far over the last 15 years. A high quality course. Very practical and concise explanations and well demonstrated in the pictures. I can't wait to put this to use and to learn even more about Thai massage! I found this course interesting. There are some techniques that I would like to implement and adapt into practice while still using a table. There are also some techniques that I will use in perhaps only very specific situations because we seem to be living in an aggressively sensitive societal structure these days. I appreciate the introduction to this modality and I am highly considering the continuation of the technique at the school in Montreal. Overall high quality of course material and presentation. Feel blessed to have Kam Thye Chow as the presenter of this course. He made the stances and movements easy to understand and follow. I'll take more of his courses. Thank you to the Institute for providing this high quality, valuable course. Namaskar! Loved how this course delved into the history of Thai Yoga Massage and how it is connected to Ayurveda. The presenter was very thorough, yet explained the sequences in an easy to follow format, even explaining transitional flows. 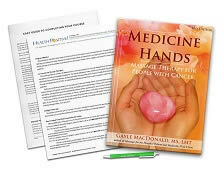 The course also explains benefits, contraindications, and practical applications for working with specific tridoshas. This course is full of practical information that is easy to add into your practice and expand upon. The materials for this course were well put together. I really like having a DVD for this one, since this type of massage is new to me. It is very easy to follow. Been looking for a course on this level and traditional and this has exceeded my expectations for a home study. I just wish that as a Chinese trained practitioner the similarities would be expressed as in, marmas and meridians, that threw me a touch. Otherwise love that I have the info to review in my practice, thank you for this. It could not be much better. I loved this course. I enjoyed that it was shown in photos the movements. Excellent course!!!! This course was able to transmit the kindness and energy of a master practitioner through words and pictures in the book. I found many useful techniques and inspiration from this course. I really enjoyed this class. Kam Thye Chow is a wonderful author. I shall continue to research Thai Yoga techniques in the future thanks to his great introduction and clear explanation of this modality. 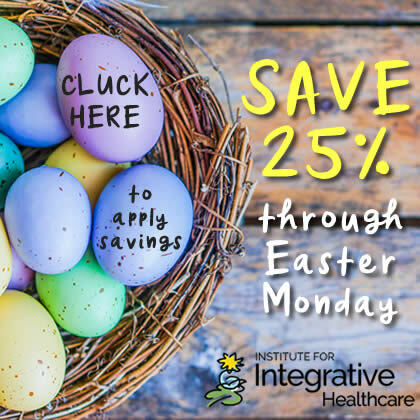 Each time I have taken courses from Integrative Healthcare, I have learned new material, and have also been challenged on concepts that I previously believed I understood. This is an excellent learning experience. This course provided a welcoming introduction and overview. I will practice techniques with family and co-workers and then introduce to clients. Makes me want to study and practice MORE. I enjoyed thai massage and would love to further my knowlwdge. Great course! Many things I can use in my practice for my clients and my own body mechanics. Thank You! I thoroughly enjoyed the course and look forward to adding it into my practice. I really enjoyed this course. I really don't know how many hours I spent studying, but I did go over it several times. I learned a lot and am grateful that I took the course. Loved the course. It is interesting. Now i have a new way to help my clients. Awesome, fun, interesting techniques, loved the DVD 45 min session of thai yoga massage that was included. Can't wait to try the new techniques out ! Very informative and interesting course. I enjoyed this course very much. Great course. the video was fantastic. This author was very well versed in Thai Massage, presented the material to learn well and provided a thorough way to learn Thai Massage. Loved it, very interesting and will be using this and practicing this massage. Thank you, I will recommend this course and your site to other therapists. I would love to give my clients this special thai yoga massage soon. Great course.I Learned a lot.easy to understand.I'm very happy to begin doing Thai Massage, and living a life of Metta. It was really great. I am excited to incorporate this into my practice. Excellent site! Thai Yoga was awesome I all defiintely use this material in my practice and refer this book to other therapist! Great course, will recommend the Institute to others! This is my second program I have taken. They are professionally done. I was so engrossed, I would be standing in line to go to Thailand to study further. An excellent course! Very visual with lots of photos, explanations were to the point and the dvd was wonderful. Great, I enjoyed it! Simple and easy to learn fun new things! I loved this course....Great information!!! I truly enjoyed this material and appreciate the way it was presented. Very interesting and thorough - loved the book and DVD. - Cheryl Matteo-Kerney, M.Ed., C.P.P. This course is very informative and interesting. I enjoyed every minute of it. - Jennifer Carole Smith, Spartanburg, S.C.